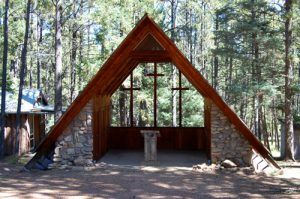 Special Note: Idlewild, New Mexico is where Legends of America founder and editor, Kathy Weiser-Alexander, gained her interest in American History. Kathy spent summers here as a child in her Grandmother Irene Foster’s cabin. It was Irene and the rich history of the Moreno Valley that sparked the passion which became a website called High Country Legends in 2002, then transformed into Legends of America on June 27, 2003. Sadly, this was the last time we saw this historic old mill, as it was torn down in early 2011. Kathy Weiser-Alexander, September, 2008. In the beginning, assay reports from the mine showed that the tunnel had large amounts of gold, silver and copper. An engineer from Denver advised the investors to build a mill. Before the mill was built, the owners first built several buildings on the property, including a mining office, a cook house, a general store and cabins for the miners. 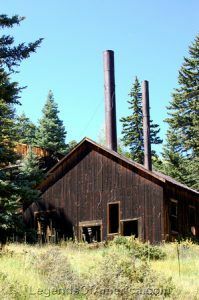 Finally, the mill was built, but it was never a large operation, employing just 13 miners during the summer months, all of whom left in the winter except for a caretaker and overseer. Unfortunately, only after the mill was built did the investors find, in 1926, that the grade of ore found needed to be smelted, and the nearest facility was in Pueblo, Colorado. Trucking the ore to Pueblo was too expensive to justify continuing the endeavor. The Klondyke Mine was never very productive and the mining company was constantly in search of additional working capital, though they continued to hold board meetings until the 1940’s. Finally, the mine was abandoned as a business venture, but the Montague family still retains the ten acres surrounding the mine. Inside the Klondyke Mine, David Alexander, May, 2004. 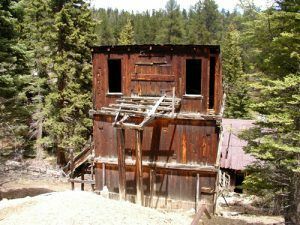 As of 2008, the area serves as a private getaway for the Montague family and their friends, but the Klondyke Mine remained during our last visit. 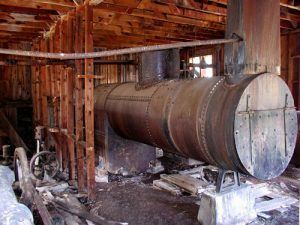 For several years, plans were in the works to dismantle the mill and relocate it to the Enchanted Circle Museum in Eagle Nest. The blacksmith shop behind the mine has already been dismantled and moved to the future site of the museum, just east of Eagle Nest on Highway 64. However, due to lack of funding, current plans for the mill, are to tear it down due to liability concerns. Very sad. Idlewild developed adjacent to the Klondyke Mine in the 1930’s. Originally, the land was owned by Charles Gallagher, who married Mae Lowery, the daughter of Joseph and Elizabeth Moore Lowery, for whom Elizabethtown was named. In 1929, Charles was shipping a herd of cattle to Kansas City about the time when the stock market began to fall, expecting to receive $1,500 for the herd. Unfortunately, due to market conditions, he netted only $700 and was forced to sell some of his land. Thomas Cook, from the Texas panhandle, purchased 160 acres from Gallagher so that his family might enjoy the retreat that he called “Idlewild.” He built a cabin near the road to the Klondyke mine and began to bring his friends and family to the retreat. Deciding to develop the property, he began selling lots in 1931 for $6 and 12 people bought lots in the new development. The following year 87 people purchased property and the area continued to develop through the years. 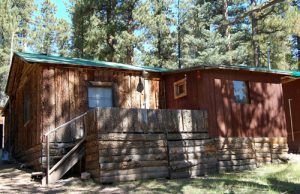 Grandma’s old cabin in Idlewild, Kathy Weiser-Alexander, September, 2008. 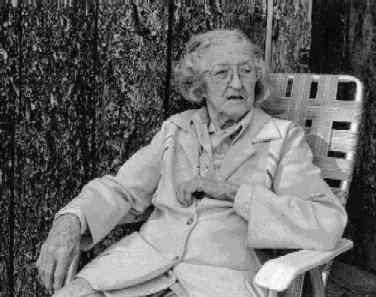 In the early 1940’s Mr. Cook sold most of his holdings to Hardy Watson of Lawton, Oklahoma and Mayme and Britt Marrs were installed as caretakers who continued for the next 50 years. 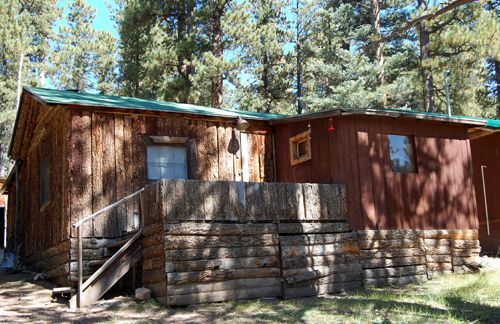 Most of the properties in Idlewild were sold to visitors from Texas and many are passed from generation to generation, including my own family cabin, one of the oldest in Idlewild. My grandparents were good friends with the Marrs when I was a child. Now, there are about 320 structures in Idlewild. © Kathy Weiser/Legends of America, originally published 2003. Updated July, 2017. Update: From Fred Montague of Chanute, Kansas, a direct descendant of the original Fred Montague who built the mine and mill, the Klondyke Mill was torn down on January 17, 2011. Very sad news for the many of us that grew up fascinated by the old structure. Dave and I were married in the Idlewild Community Church on June19, 2006. Kathy Weiser-Alexander.